Come join us to observe bird banding of songbirds and woodpeckers, and to observe wild birds close up. Participants will learn about the purposes and benefits of banding, and will observe a demonstration of best practices. 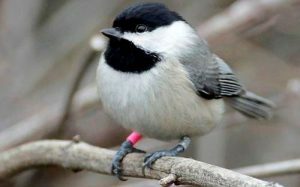 Local, federally-permitted banders hope to establish a long-term study of Lake Iowa Park’s bird populations via this method. You may come and go at any time during the demonstration, and might very well have the opportunity to release a banded bird. Consider bringing a lawn chair if you think you would like to stay for an hour or more. In case of inclement weather, such as continual rain, the program may be canceled.